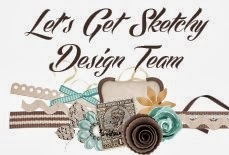 Part-Time Pretties: Stuck on U Sketches and a RAK giveaway! 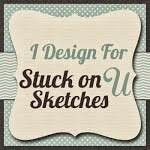 Stuck on U Sketches and a RAK giveaway! I was trolling the internet, looking for sketches, when I stumbled upon Stuck on U Sketches...love finding a new place...new to me at least :). I immediately decided to play along with a sketch challenge there. It was actually a card sketch, but I turned it into a layout! I used Basic Grey's Knee Highs and Bow Ties girl collection. 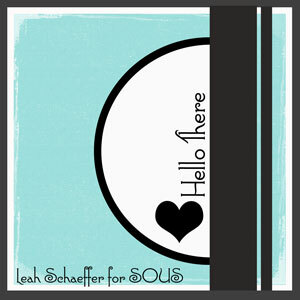 I LOVE the colors in this line and as always, Basic Grey has awesome embellishments to coordinate! I recently mentioned that for me, May means spring, and spring means spring cleaning! 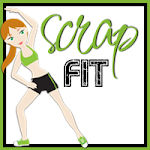 I have been purging lots of scrapbook stuff. Some of it is gently used, some is new. Here is my RAK giveaway #1 (lots more to come this month). It is very PINK :) Lots of flowers, charms, some ribbon, a few brads and heart pins, and a butterfly punch---used, but works well! Love your layout! And of course the girly giveaway!!! I am a new follower and I love pink things! And that butterfly punch is so cute!! Adorable take on the sketch Sheila!! I love that shaped mat behind your photo!! This is beautiful!! I loveeeeeee that cute photo, the colors and the layers!! Love all those details! :) I always wish my layering/clustering would look this great! Hi, Sheila! Well, that card sketch looks amazing as a layout! Offset pages are all the rage now and you have pulled it off superbly! Thanks for playing! Very cute layout love the colors and how you design it. I just join your blog. Hope you have a good week so far? I am a new follower. What a cute layout! Hi Sheila! I wish I could follow your blog again, I love your work so much! I really like what you did with this sketch - so inspiring and creative!! And the RAK you are giving away is fabulous - PINK is right up my alley - I am a breast cancer survivor, you know!!! YAY!!!!! I'm a follower... LOVE LOVE your page and how you turned it into a page sketch!!! gorgeous!!! Great take on the sketch Sheila, works amazingly well as a layout. Loving your paper choice and all the little embellishments - nice one. Thanks for joining us at SOUS!